​Established in 2006, CrossFit Rochester is Western New York's original CrossFit box and host of the annual "Wodchester Games." Led by Joe Celso, a Level 4 CrossFit Certified coach, you'll find that this “gym” is a true community comprised of strong-willed individuals who are hell-bent on improving their fitness levels. We are dedicated not only to our own fitness, but dedicated to helping each member build their best self. 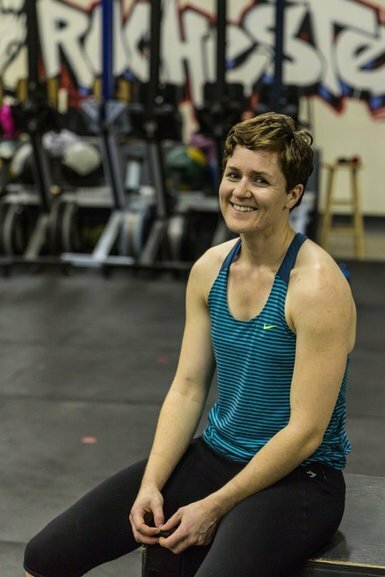 Coached in the CrossFit ideology of mixing body weight movements, weightlifting, and cardiovascular conditioning, our members find the varied workouts to be challenging and the atmosphere to be incredibly supportive. You'll find that our tight-knit community comprises individuals of all ages and backgrounds, each striving to reach their ideal level of fitness. Let's face it, exercising can be hard, but it is essential for long-term health benefits and an active lifestyle. The best results come from a commitment to working out consistently, staying motivated, and setting measurable goals. At CrossFit Rochester we'll show you how to perform exercises correctly and we'll help you establish targets to track your progress. On top of it all, the friendly and supportive community will help make "the gym" the best part of your day. Whether you're a weekend warrior, want to look better on the beach, or trying to keep up with your kids or grandkids on the playground -- CrossFit Rochester has the experience, knowledge, and passion to show you the way! Click on ﻿Getting Started﻿ when you're ready to take your fitness to the next level!